CNC machined products are used by companies in multiple industries. Whether automotive, tooling, aerospace, manufacturing, weapon making, or something else, machined parts are extremely precise and accurate. Although these are critical characteristics regardless, for some industries, precision means the difference between success and failure. The key is choosing a machine shop that guarantees all CNC machined products are perfect. For this, there has to be a quality control check system in place. This is for all machines to include those that perform drilling, grinding, cutting, reaming, broaching, milling, boring, turning, spot-facing, chamfering, and tapping, among others. A machine shop operated by highly trained and experienced machinists will take pride in the work performed to ensure that all CNC machined products meet not just customer and company, but also industry standards. As part of this is completing CNC machined products for short-run prototypes to high volume production. No matter if just one part is being fabricated as a prototype or parts being mass produced, every aspect has to be precision crafted. Although properly CNC machined products are critical for all industries, they are of special importance for certain industries such as aerospace and automotive. A small mistake on a part can lead to devastating failure. Therefore, products must be cut, shaped, molded, ground, or turned according to very specific instructions. At NexGen Machine Company, our professionals strive to ensure all CNC machined products exceed expectations. The family-owned company has been offering top quality machined parts of premium quality to a wide range of industries for over 40 years and we stand behind the work performed. Primarily, the company focuses on the manufacturing of forging, casting, barstock, and extrusion parts, working with aluminum, brass, alloy steels, carbon, plastics, and stainless steel. 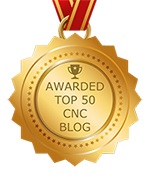 We fully understand the dedication required to provide customers with top-of-the-line CNC machined products and for that reason, our professionals always give 100%. In helping customers get the best CNC machined products available, our team possesses outstanding expertise. In addition, we have the ability to import different drawing formats to include dfx, pdf, jpg, dwg, and others to quote and most competitive pricing possible but to also provide updates on production as needed.